Elizabeth has been a published writer since she sold her first short story to Pony Annual as a teenager. Her debut saga, Paradise Lane (Arrow, 2020), the first in the Mill Town Lasses trilogy, is set against the backdrop of 19th Century industrialisation. When Jennet and Titus Eastwood are forced to move from their idyllic cottage into the centre of Blackburn to find work in the cotton mills, their lives are changed in ways they could never have imagined. Elizabeth was born and raised in Lancashire, where she can trace her family back to the Middle Ages. It was while researching her family history that she realised there were so many stories about ordinary working people that she wanted to tell. 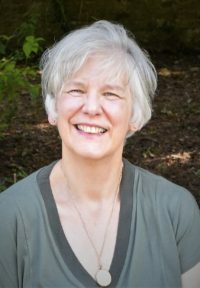 She has previously written historical novels - The de Lacy Inheritance (Myrmidon Books) and By Loyalty Bound (Pen and Sword) – as well as local history books for Countryside Books and Sigma Press. She currently lives in Lancashire with her son and two cats, Ralph and Rufus, who look so alike that people believe she only has one.